What everyone seemingly ignores is that both sides have legitimate claims on the land and subsequently both sides are engaging in genocidal acts and killing innocent civilians to validate their claims. One side calls on the Palestinians to stop their violent acts (and they should), but they don’t voice for the Israelis to stop oppressing the Palestinian people. Even if the Palestinian people stopped supporting violent acts against Israel, they would still be disenfranchised and forced to live in abject poverty. Likewise, the other side calls on Israel to stop oppressing the Palestinians (and they should), but they don’t voice for the Palestinians to stop launching rockets into population centers or to stop targeting Israeli civilians. Many people on the “pro-Palestinian” side seemingly ignore or even partake in anti-Jew (it’s hard to say anti-Semitic since this would include Palestinians) propaganda. A simple perusal through the multiple Facebook groups and posts finds that the hatred extends beyond the so-called “Israeli Occupation,” but well into simply hating Jews. It seems that those who support Israel believe the Palestinians should just up and leave, or die. It seems that those who support the Palestinians believe the Jews should just up and leave, or die. We have people who claim that the Palestinians are not really a people because they lack a culture and a language (can I use this same argument on the term “Americans”? ), but turn around and you have people denying the Holocaust and saying that Jews don’t deserve to have rights. In the midst of it all, we have Christians denouncing Israel’s actions and taking up their old role of anti-Semitism, saying that the Jews persecute Christians and killed Christ, so why support Israel? Then we have Christians denouncing the Palestinians, declaring all actions of Israel justified as a way of self-preservation. In all of this blind rush to support one side or the other it seems that no one is really seeking actual peace. What should the Christian position on this issue be? Regardless of how one feels about the Jews having their own nation (and rest-assured, for practical reasons they deserve their own nation; every other nation has persecuted them, so they need a safe-haven), the fact remains that they currently have one and it is currently located in Israel. We don’t need to turn to Biblical prophecy or anything like that to realize that Israel deserves to exist; Biblical prophecy has nothing to do with my beliefs on this (as I really don’t believe the current state of Israel to be a thing of prophecy). Rather, I think the Jews deserve to have their own land and it only makes sense for it to be in Israel, which already had a huge Jewish population in 1948. Likewise, regardless of how one feels about the Palestinians having their own state (and rest-assured, for practical reasons they deserve their own nation; they’ve been massacred in all other nations they’ve gone to, so they need a safe-haven), the fact remains that they are people without a land and currently live in Israel. We don’t need to turn to Biblical prophecy or anything like that to denounce the existence of the Palestinians. They are people made in the image of God and therefore have certain rights. So what’s the solution? Is there a middle ground on this issue? Sadly, I simply don’t see a solution forming in any realistic sense. The idealists on both sides don’t realize that the only way for their solutions to formulate is for genocide to occur (either a complete killing of the Jews or a complete killing of the Palestinians). 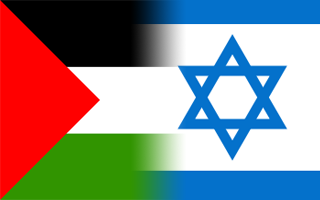 The Palestinian idealist and the Israeli idealist do share one common trait, and that is that both want to see the other side completely eradicated. For the Christian, this ought to be a far more complicated subject that it is; in short, an honest Christian cannot support the Palestinians or the Israelis. An honest Christian cannot support a system that is predominately run by radical Islamists who have no problem murdering innocent people, including their own people. Even if one admires their ends and their plight, at the point innocent civilians are targeted and treated as combatants, or used as human shields, one simply cannot support such a movement. Likewise, an honest Christian cannot support a secular state that seeks to oppress Christians as well as humans in general who aren’t of a certain ethnicity and religion. If Barak Obama attempted to pass laws in the United States against Christians that have been passed in Israel, there would be rioting and rebellion on the streets tomorrow morning. If we wouldn’t support it here, why should we support it overseas? Ultimately, I think all political options have failed. I don’t think any amount of diplomacy will fix the problem at this point. Rather, politics has to wait for the cultures to catch up. In other words, the solution has to be found at a grassroots level among a small group of activists who just want peace. It needs to be a group that, instead of blaming one side more than the other, realizes that both sides are full of significant flaws that need to be corrected. Most importantly, they need to speak to their peers and do all they can to convince their peers that peace is far more preferable than continued bloodshed and animosity. Both sides need to find a way to avoid bloodshed and instead take on peaceful acts of civil disobedience; if bloodshed simply cannot be avoided, then it needs to stay between military combatants. The arguments on both sides of number of Israeli deaths vs. number of Palestinian deaths, or the popular argument of “proportionate response” simply minimize this issue. The loss of life is not some brute and cold calculus that can be used to measure our response to a situation. Whether it is 18 Israelis dead to 100 Palestinians dead or 20 Palestinians dead to 40 Israelis dead, the fact is they’re dead. All military responses are inherently out or proportion to the initial attack – otherwise the military would never win. No war is won by even responses. This is the nature of warfare and why warfare should be avoided unless absolutely necessary; war will progress with disproportionate responses until one side finally says, “Enough,” or until one side is simply eradicated. Thus, to expect a proportioned response is naïve as no military that wants to achieve victory will ever do this. Instead, we need to cast aside our superfluous calculus and simply recognize that both sides are living in terror and both sides are mourning the loss of innocent loved ones. As a Christian, I do believe that the Jews are God’s chosen people (for a more nuanced view of this, go here), but that doesn’t mean I need to support everything Israel does. Why should I support everything Israel does (a secular nation I might add, thus casting quite a bit of doubt that Israel fulfills any prophecy) when nowhere in the Bible do we find God supporting everything Israel does? Along the same lines, as a Christian I believe that all humans are made in the image of God and therefore should not be oppressed, but that doesn’t mean I should support the Palestinians in their actions against innocent civilians. Thus, the Christian position is one that is ultimately one of non-support, but condemnation to both sides. I believe the Palestinians are made in God’s image. No amount of prophecy (or misinterpretations of Scripture), however, can convince me that God somehow wants them all wiped out or moved from the land of Israel. Such a belief is antithetical to the Gospel. At the same time, I believe the Jews are also made in God’s image. No amount of support for the oppressed, however, can convince me that the Palestinians are somehow justified in launching rockets into Israel or that all the Jews should be relocated. Again, such a belief is antithetical to the Gospel. I do hope that one day there is peace. I hope one day the wall in Israel can be brought down, not for the sake of being brought down, but because there is no need for it. I hope one day to see two nations, not brokered by UN charters with UN “peacekeepers” at the border, but put together by both societies in a peaceful manner. I hope that one-day disputes over land are settled through negotiations and maybe even competitive trade, not through suicide attacks and helicopter gunships. Ultimately, I hope for peace, but this may just be a fool’s hope. The conflict between Israel and Palestinians has heated up quite a bit lately due to the attack on the “aid” flotilla sent to Gaza. This has left many wondering, “Can there ever be peace between Israel and the Palestinians?” Some Jews (and supporters of Israel) think that peace can only be found when the Palestinians leave Israel. Alternatively, many Palestinians (and supporters of Palestinians) believe peace can only be found when the Jews leave ‘Palestine’ (hat tip to Helen Thomas). The fact is, neither option is tenable or humane. For the Jews, Israel holds significance for two reasons. First, it is their ancestral homeland. Their history centers around what occurred in Jerusalem, so much so that for 2,000 years Jews would always say, “Next year in Jerusalem.” Jerusalem was their home, given to them (in their minds) by God. While they faced various wars and occupations during their reign in Jerusalem, they at least had a home. After the Roman Empire expelled the Jews from Jerusalem in 70AD, they were on their own. Wherever they went they faced persecution. When the German princes, Italian provinces, French government, and Spanish inquisitors punished the Jews, the Jews went east and settled in Prussia and Hungary. How ironic that a few hundred years later, a population of over 7 million Jews in Poland, Hungary, and Czechoslovakia was reduced to a population of just over 6,000 in the modern day (not all died in the Holocaust, many fled to other countries). This points out the second reason why Israel holds significance for the Jews – it ensures that they are free from persecution. The Jews have learned the hardway that just because a nation is friendly to them today does not mean they will be friendly tomorrow. As I pointed out above, the Polish government was friendly to the Jews, but eventually turned on them. Even the various German provinces under the Holy Roman Empire in the 16th century were friendly to Jews, but turned on them when financial crises hit or when plague hit. America has traditionally been friendly to the Jews, but there’s no guarantee that America won’t turn on them tomorrow. For the Jews, to have a homeland of their own is of vital importance; to have it on their ancestral grounds is even better. In all of this, however, the Palestinians cannot be ignored. In Israeli society they have been treated as second-class citizens. They are not allowed to vote, not allowed to serve in the military, and so on. Granted, these measures are taken to keep a Jewish majority in the government and military, but it is still unfair to the Palestinians. Likewise, Israel’s neighbors of Jordan, Lebanon, Egypt, and Syria have been quite unwilling to allow Palestinians to integrate into their respective societies. This leaves the Palestinian without a place to call home.